As a business owner, it is important to know how to read and understand financial statements. Financial statements are an important source of information that can help you make better decisions in your business. Learn the basic things you need to know about the financial condition of your business. Learn the ways you can drive down costs while still providing a quality service/product and maintaining strong bonds with consumers, and employees alike. Are you thinking of cutting your prices to win a customer? Remember this: Cutting your price to secure the initial deal only does one thing – it takes profit out of your pocket. Working capital, defined as current assets minus current liabilities, is important to any business. Working capital can you to expand your business, improve operations, pay short-term bills, and buy inventory. Inadequate working capital can be the kiss of death to your business, as you won’t have the funds necessary to grow the business. Learn the steps you can use to improve your working capital. If you want to make the money and the month line up better, you may need to rethink some of your business assumptions – including what constitutes a must-have expense. Following are a few ideas that can help improve your overall cash flow. As a freelancer or a self-employed business owner, one of the realities you will face is the fluctuation of income. Unlike employees with a fixed salary, it is hard to predict exactly how much you will earn from month to month. There are times when income is good and the money keeps pouring in, and times when income slows down to a trickle. You start a business with the hope of primarily making a living from the business. Whether you want to earn just enough money to cover your living expenses or money that will allow you to live a jet setting lifestyle, the business needs to earn money for you. But are you making money from your business? To survive in today’s marketplace, it is important to run our home business operations lean. Learn how to run your home business lean — and profitable. Cash flow is an essential ingredient to the survival of your small business. 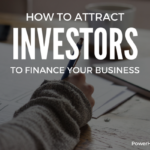 It is the flow of money in and out of your small business, and the quantity as well as timing of that flow is critical to the continued operation of your business. Learn the seven major reasons that result to cash flow problems for businesses, which you need to look out for as a small businesses owner.